Beautiful Small Scatter Size Light Blue Turkish Antique Oushak Rug, Country of Origin / Rug Type: Turkish Rug, Circa Date: 1920’s – This magnificent small scatter size rug is quite decorative in both its large scale open design as well as its use of calm and soft colors. 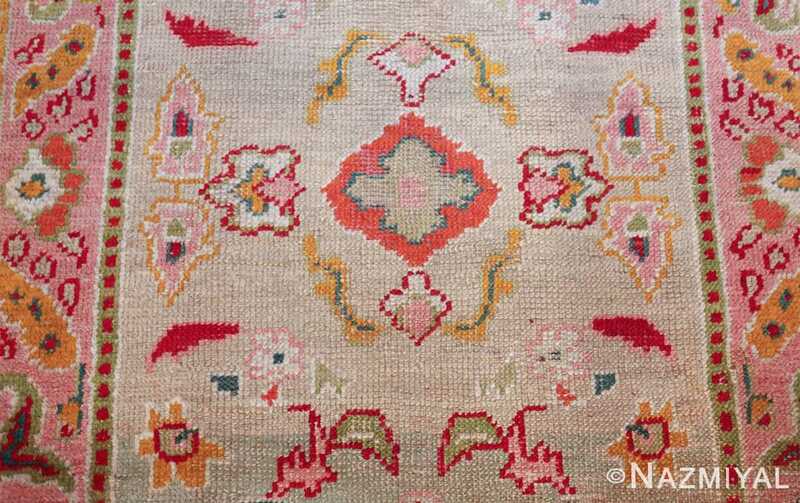 With its larger scale and elegant design choice at the center of the antique Turkish Oushak rug , the eye is immediately drawn to the antique rug’s composition heart. 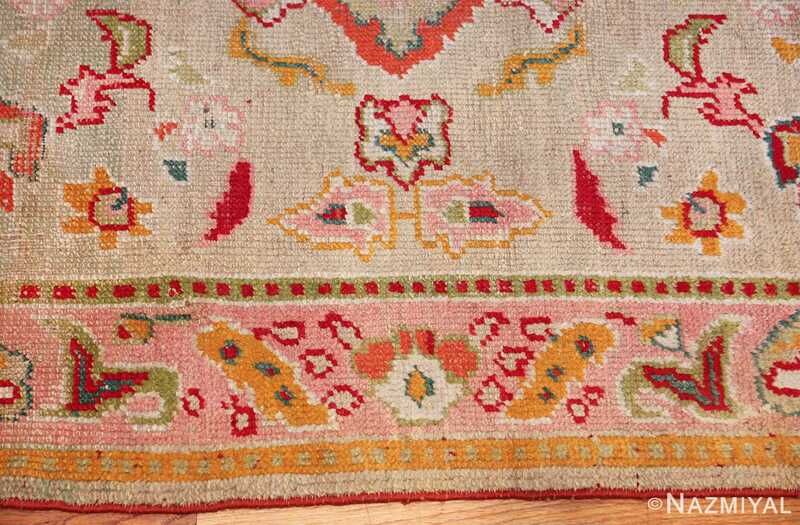 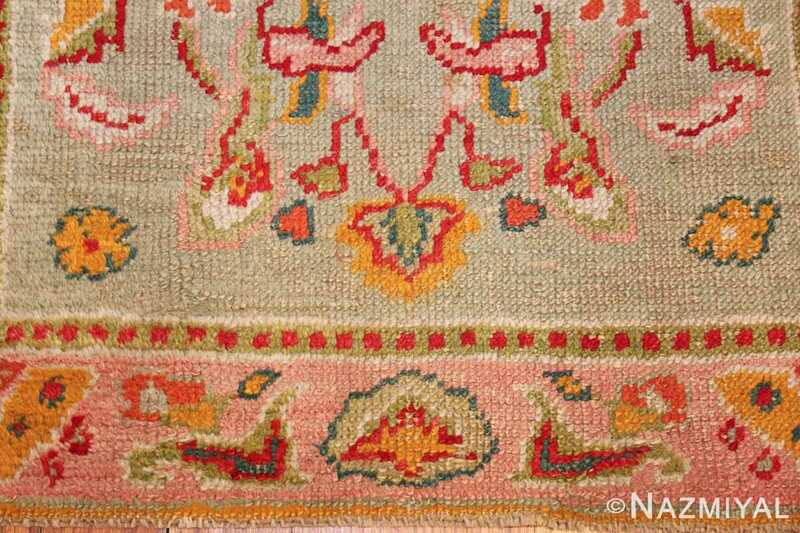 The use of a more primitive shapes as grounding elements are striking examples of what makes the designs of antique Turkish rugs sought after. 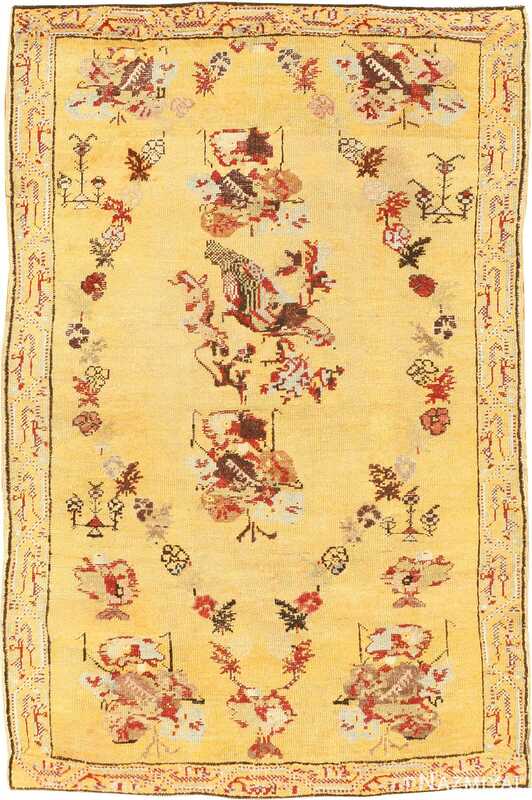 The floral design motif placed at the center of this antique Oriental rug sets the tone for the rest of the piece’s thematic design. 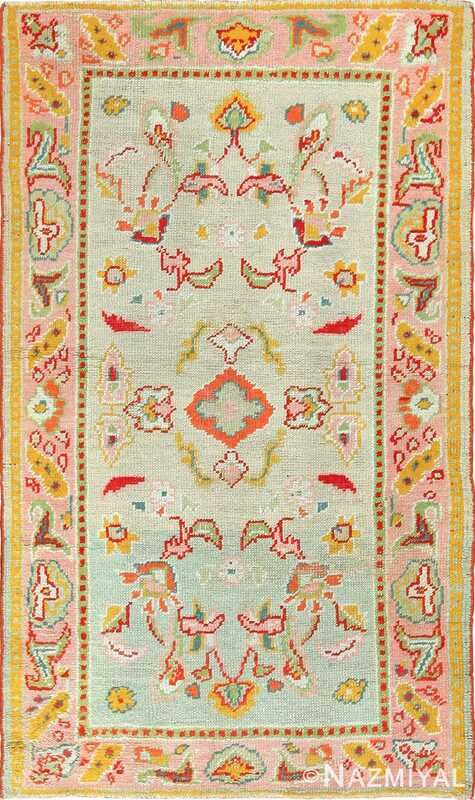 Beyond the center, the rug’s inner field continues its balance of symbolic and bucolic imagery. 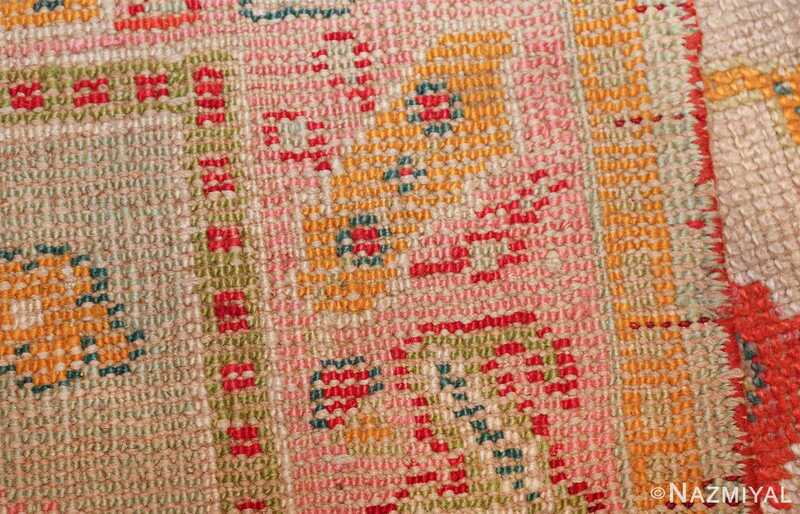 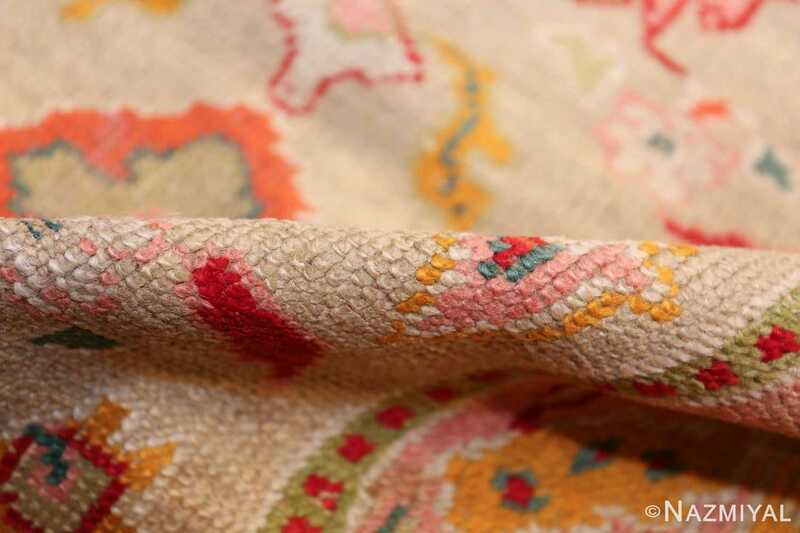 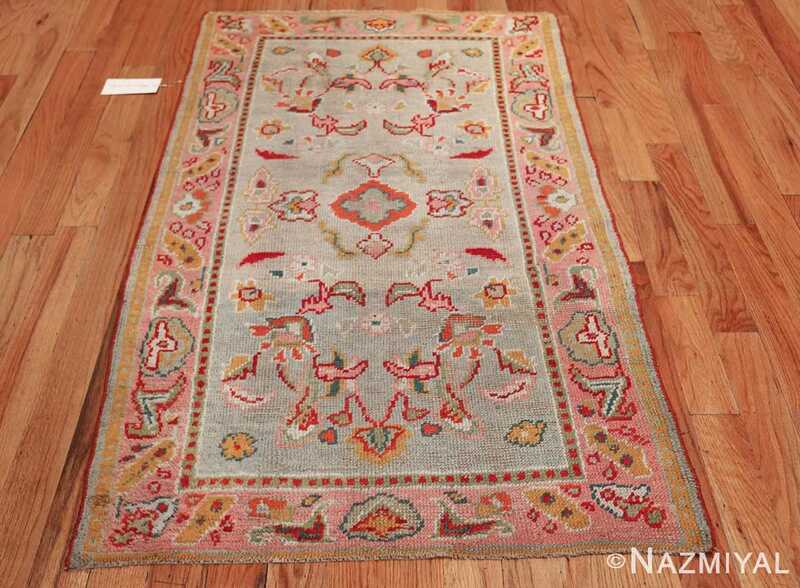 Sparser and more aerial than the antique carpet’s border, these subtle components flow through a light blue expansive field which is beautifully framed the Turkish antique Oushak rug’s inner border. 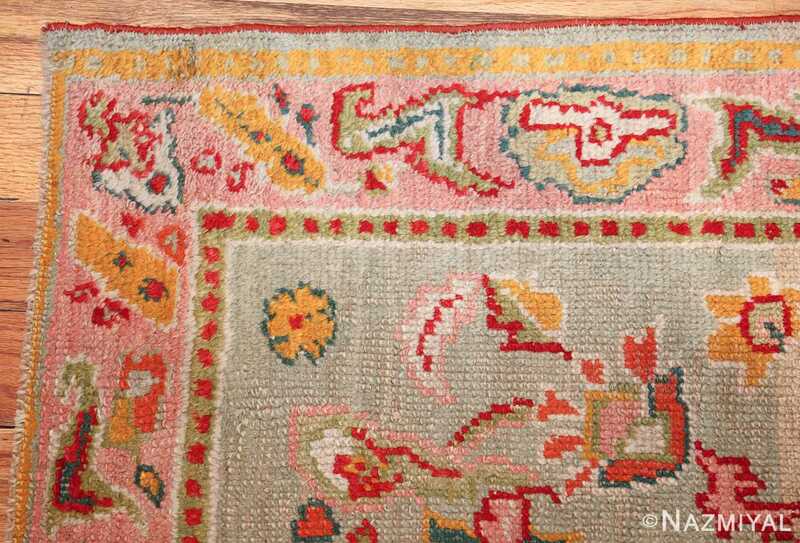 This juxtaposition between the aerial use of inner space and the use of bolder shapes throughout the rug’s border reflects the piece’s balanced and cohesive composition. 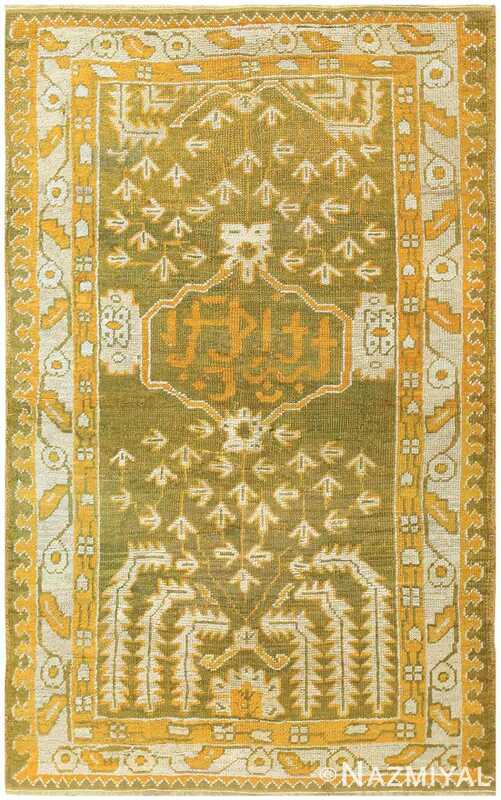 In a lovely example of mirrored design aesthetic, the rug’s two dotted guard borders employ inverse uses of negative space. This play and use of colors as they relate to the design, create a reflective effect that bounds the piece’s intricate design work along its outer section. 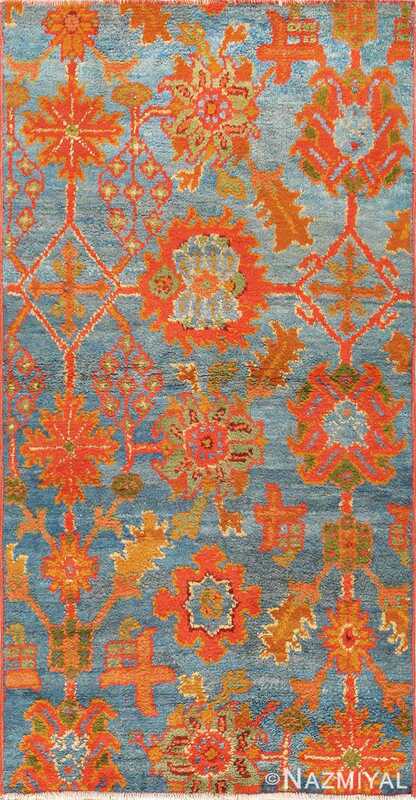 Continuing the small scatter size light blue Turkish antique Oushak rug’s theme of balance and symmetry, these borders ground the carpet, allowing it to showcase its more abstract elements. Between the two borders of this beautiful antique Turkish Oushak rug, we find a heavier emphasis on the abstract over the defined. 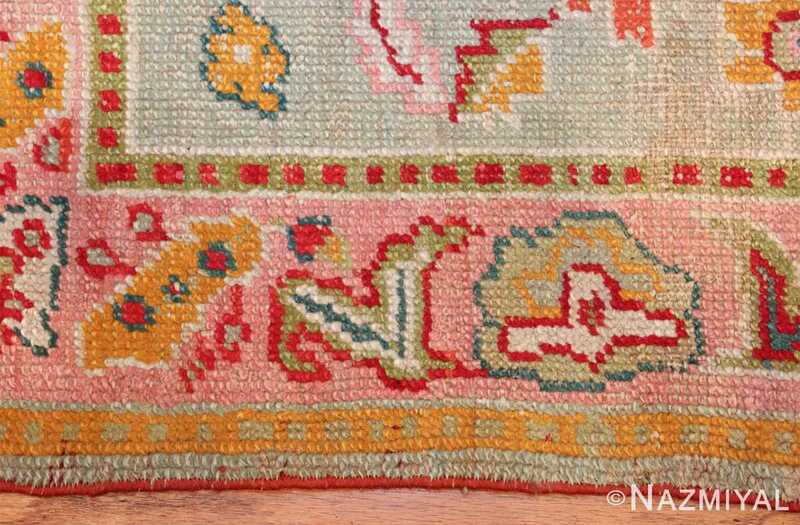 Visually distinct from the rug’s inner field by both its use of color palette as well as design symbols and motifs, this aesthetically complex border design provides a fascinating contrast to the piece’s inner composition. This gives this magnificently decorative rug a remarkable overall balance, speaking most strongly to the artist’s mastery of craft. 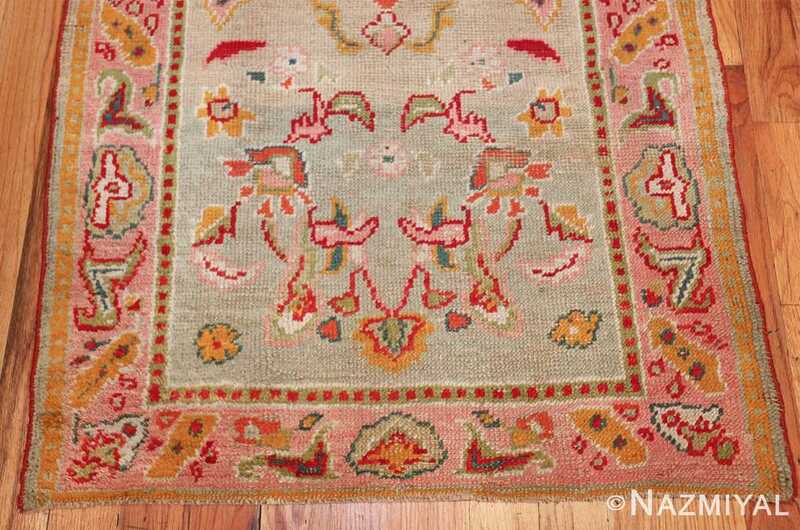 This lovely antique Oriental Ghiordes carpet from Turkey has an elegant medallion design with cornerpieces surrounding delicate viney floral sprays.